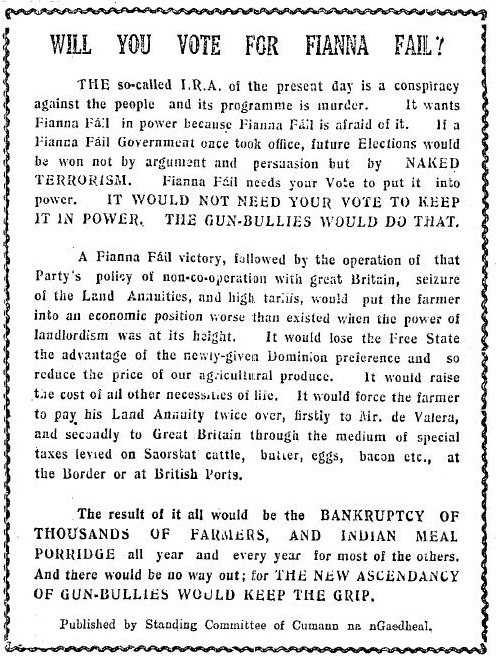 From the 1932 General Elections an attack on Fianna Fail from Cumann na nGaedheal ‘Farmers! Keep a Firm Grip of Your Homesteads’. 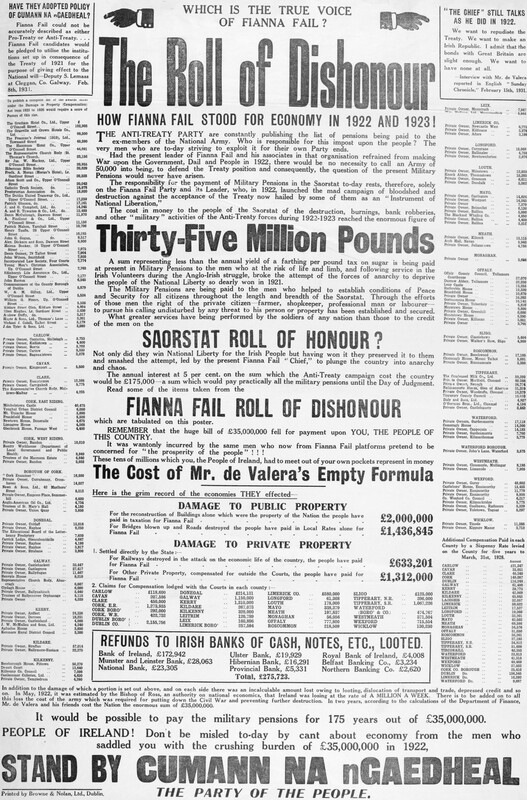 The attack was related to Fianna Fails Land Annuity policy. From the 1933 General Election campaign “This is What Cosgrave Will Do…” which details what Cumann na nGaedheal would do should they be elected to government.This 1933 General Election was the last election fought by Cumann na nGaedheal, as later that year they merged with the National Centre Party and the National Guard (Blueshirts) to form Fine Gael. Dr Ciara Meehan explains the history of election posters, with some examples of Cumann na nGaedheal posters from the 1920’s and 1930’s. 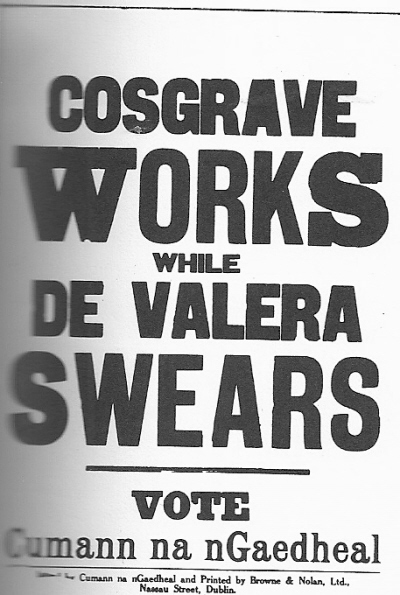 From the 1932 General Election a poster “Cosgrave Works while De Valera swears -Vote Cumann na nGaedhael”. Presumably the swear is a reference to the Oath. 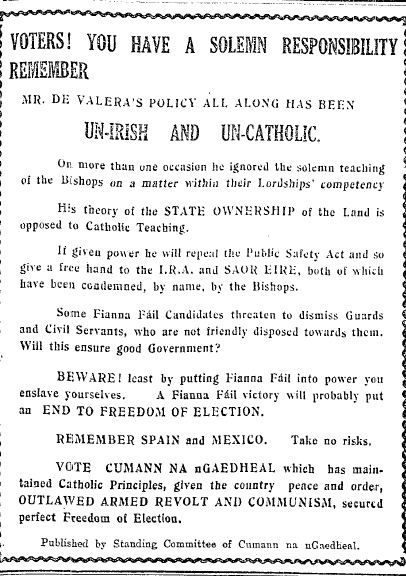 From the 1932 General Election Campaign some scathing anti Fianna Fail and De Valera ads from Cumann na nGaedhael. And we think negative campaigning is bad now!